TRAI Notification 2019.Telecom Regulatory Authority of India (TRAI) has released a notification for the recruitment of Section Officer vacancies.Check the eligiblity and notification prior to apply for the positions. Graduate/ Post Graduate/ equivalent from any recognized university/ institution. Check more details of educational qualification in TRAI official website given below. Check more details of age limitation in TRAI India official notification given below. Check more details of selection process in TRAI official job advertisement given below. Sr. Research Officer (A&P). Telecom Regulatory Authority of India, Mahanagar Doorsanchar Bhawan, Jawaharlal Nehru Marg, (Old Minto Road), next to Zakir Hussain College, New Delhi-110002. Find the correct notification “Filling up of one post of Section Officer on deputation on foreign service terms in TRAI (HQ), New Delhi” and open it. 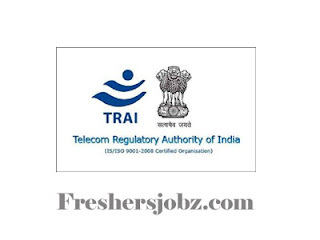 Read the notification correctly to check your eligibility for TRAI Job Vacancies 2019.